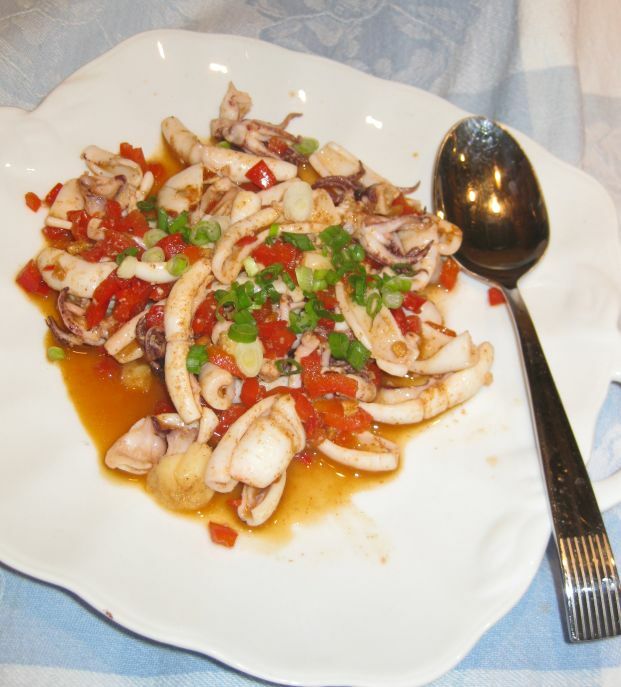 The distinguishing element of this dish is the oil infused with sweet bell pepper, garlic and thyme and then cayenne is added for spiciness. 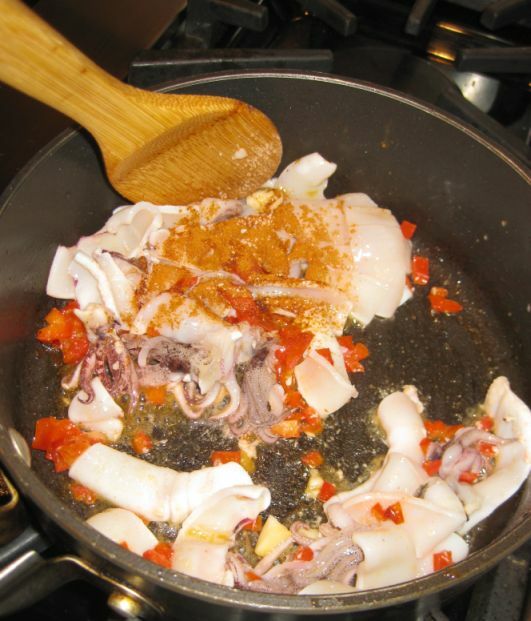 A splash of lemon juice and parsley or green onion is added for final seasoning. 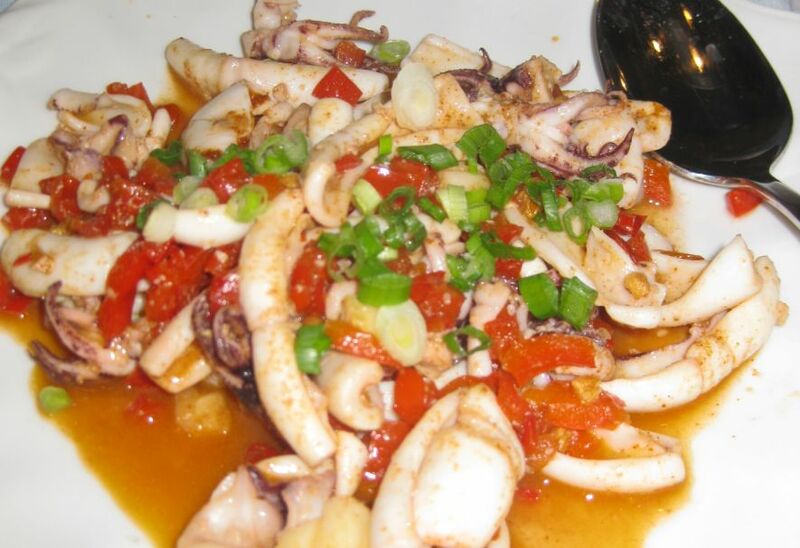 Make the oil early in the day, have your parsley/green onion, lemon, and cleaned calamari ready and it will take you less than 5 minutes to cook the whole dish and you can serve it as a first course in no time. This is summer dish where the color is so vibrant! 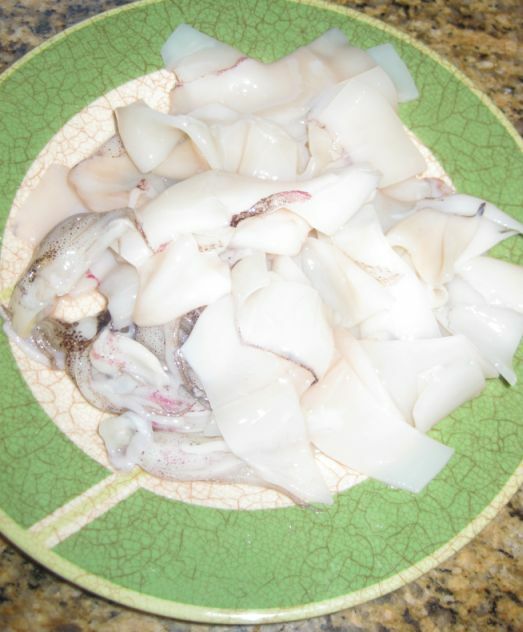 Clean the calamari. 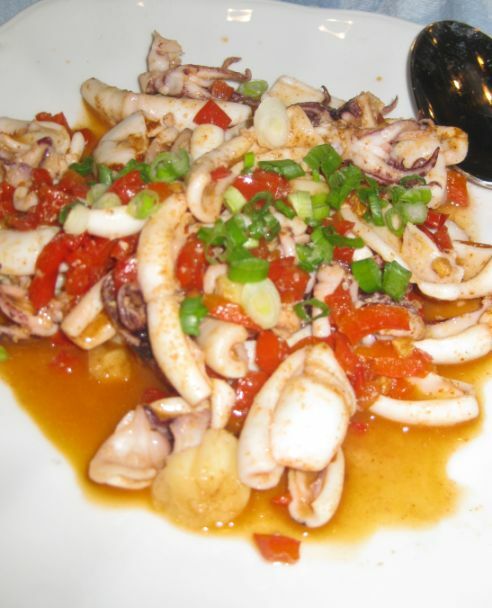 Pull the tentacles, remove the beak, remove the cartilage from inside the bodies and squeeze out the innards and discard. 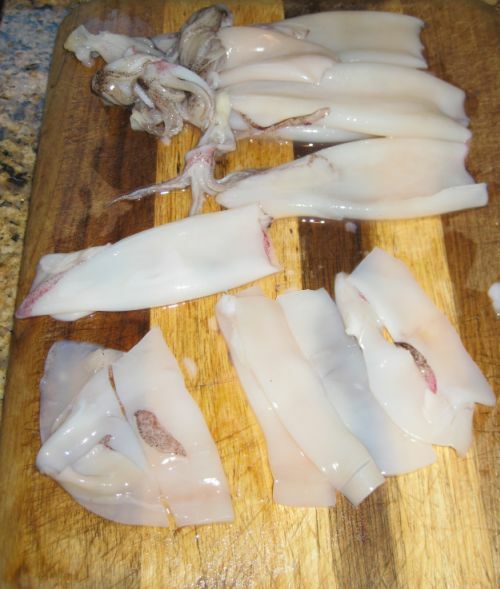 Cut the calamari bodies into 2 inches long and set aside. 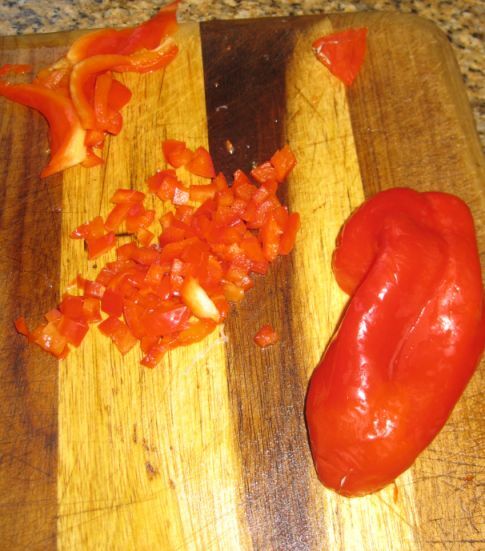 Cut bell pepper into long strip first and then cut the strips into small dice. 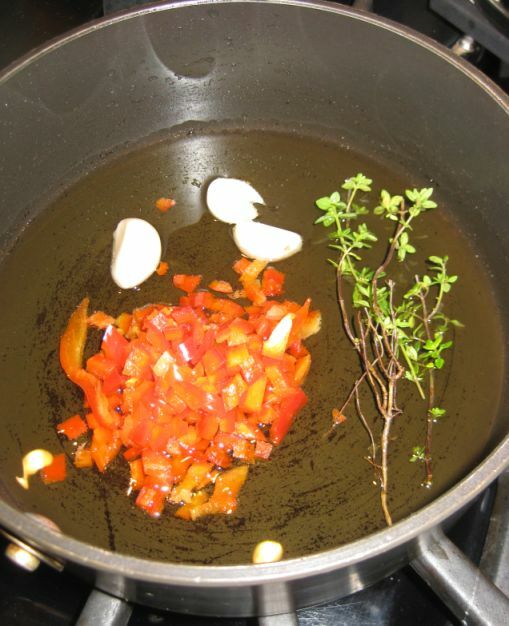 Heat the oil in a small pan over medium heat. 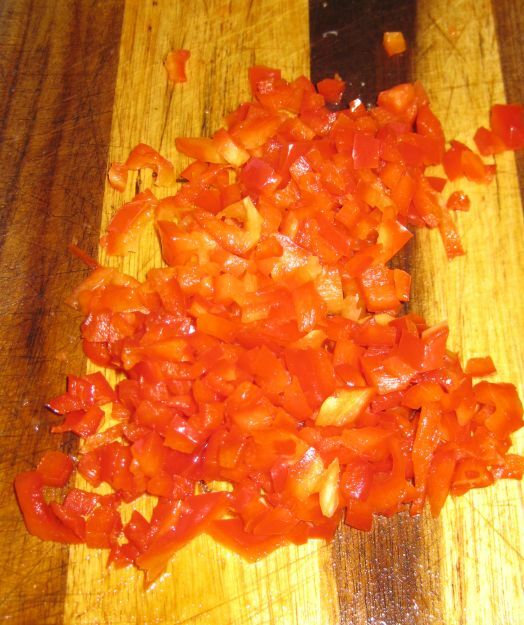 Add 2 gloves of garlic, thyme and about 1/4 cup to diced bell pepper. 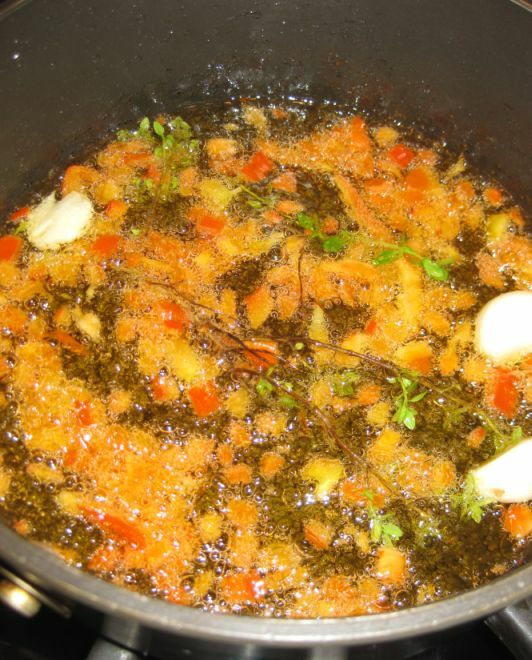 Bring the oil in to a boil and then turned off the heat. 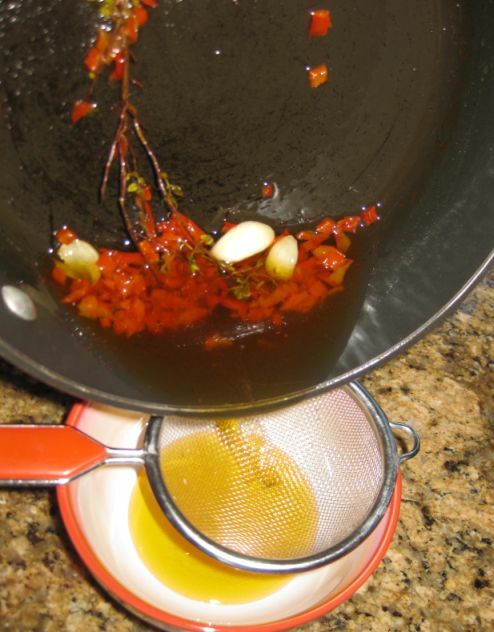 Let the oil infuse for at least 25 minutes or overnight. Strain the oil and discard the solid. 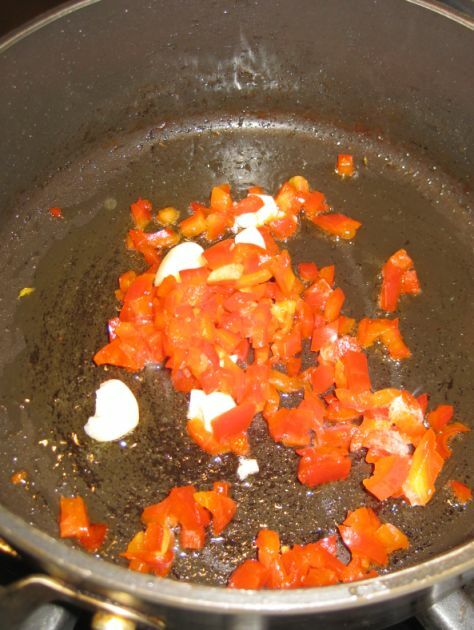 Heat a pan in high heat and add 2 tablespoons of the pepper oil and the remaining 2 garlic cloves and cook for 30 seconds. 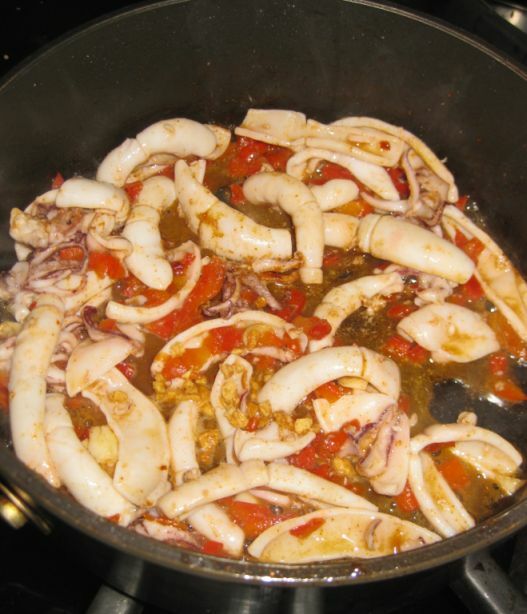 Add the calamari into the pan and stir. 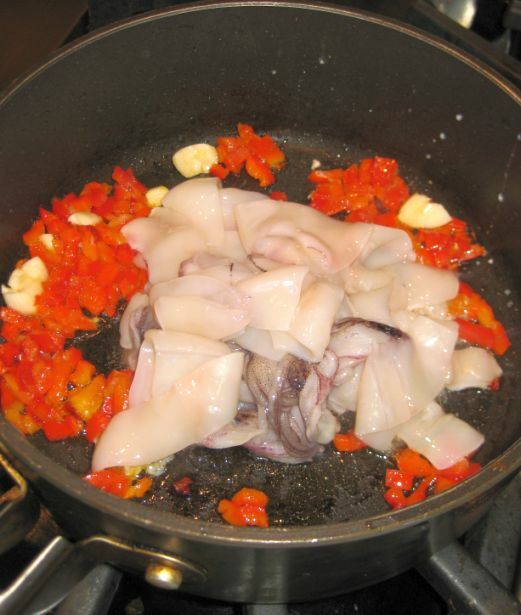 Do not overcook the calamari or they will be tough. Sprinkle parley or green onion on top and serve.